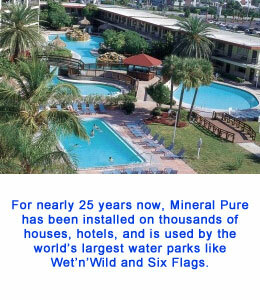 Mineral Pure is a copper and a copper/silver ionization designed to greatly reduce the need of chlorine in swimming pools, spas, and in industrial applications like cooling towers. 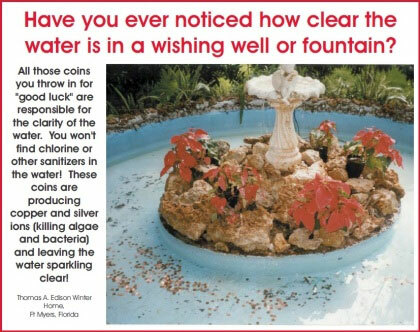 By using safe, natural minerals as a basis for its technology, Mineral Pure can transform your pool or spa into an oasis of mineral spring water ... naturally! 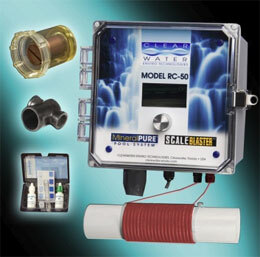 A microprocessor designed control box releases the minerals into the water. 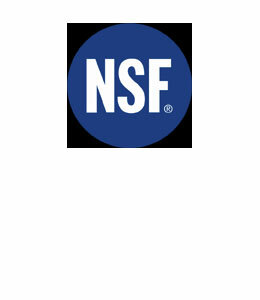 The copper ions will assist in killing algae, while silver ions will help out in killing bacteria and viruses in the water. 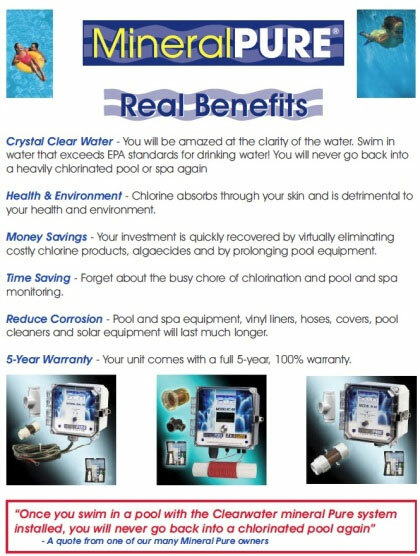 You will enjoy crystal clear water. You will be amazed at the clarity of the water. 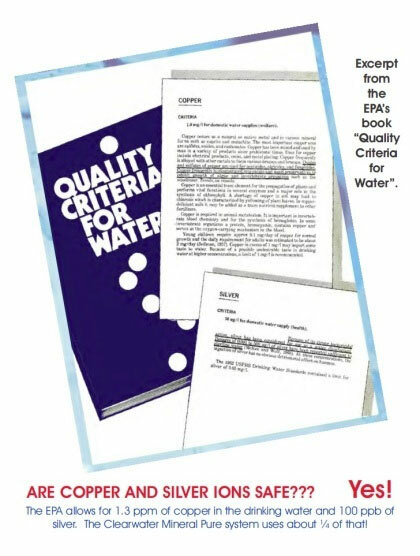 Swim in water that exceeds EPA standards for drinking water! 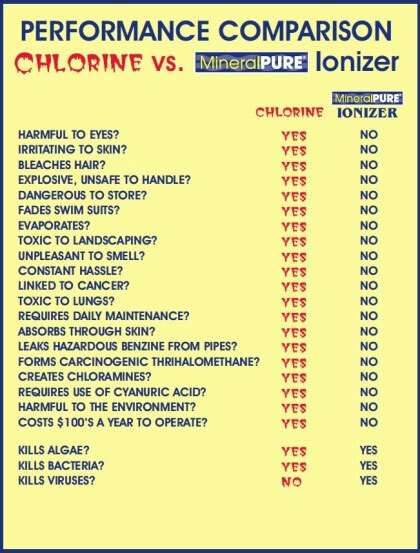 You will never go back into a heavily chlorinated pool or spa again.